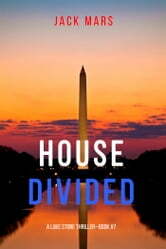 HOUSE DIVIDED is book #7 in the USA Today bestselling Luke Stone thriller series, which begins with ANY MEANS NECESSARY (Book #1), a free download with over 500 five star reviews! A passenger jet is attacked in northern Africa by terrorists wielding RPGs, resulting in an enormous loss of life. Yet U.S. intelligence reports this is merely a distraction, a prelude to a worse terror incident. A cargo ship is pirated off the African coast, and terrorists are puzzled to find in its vast hold just one mysterious crate. It contains a weapon they do not understand—one of vital interest to Al Qaeda. It is a weapon, we learn, that will inflict catastrophic damage on the United States if not stopped in time. The weapon disappears deep into the heart of Africa, and as all hope seems lost to retrieve it, Luke Stone is summoned. Forced to cross deserts, to enter jungles, Luke and his team embark on a mad race across Africa, on a suicidal mission: to destroy the weapon before it is too late. A political thriller with non-stop action, dramatic international settings and heart-pounding suspense, HOUSE DIVIDED is book #7 in the bestselling and critically-acclaimed Luke Stone series, an explosive new series that will leave you turning pages late into the night. PRIMARY TARGET: The Forging of Luke Stone—Book #1 is now available for pre-order! Another fast moving thriller that is very difficult to put down once you've started. As many questions left unanswered as previously, and great writing leaves you wanting more. Highly recommended read, but I would suggest you read the series in order. The p,it's don't really require it, but they will make such more sense if you do.